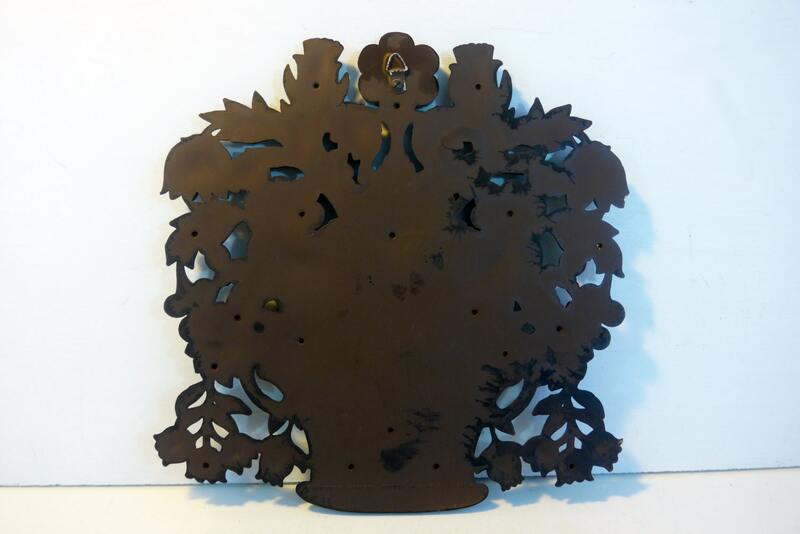 Vintage LARGE Syroco wall hanging mid century piece that is a basket with flowers. 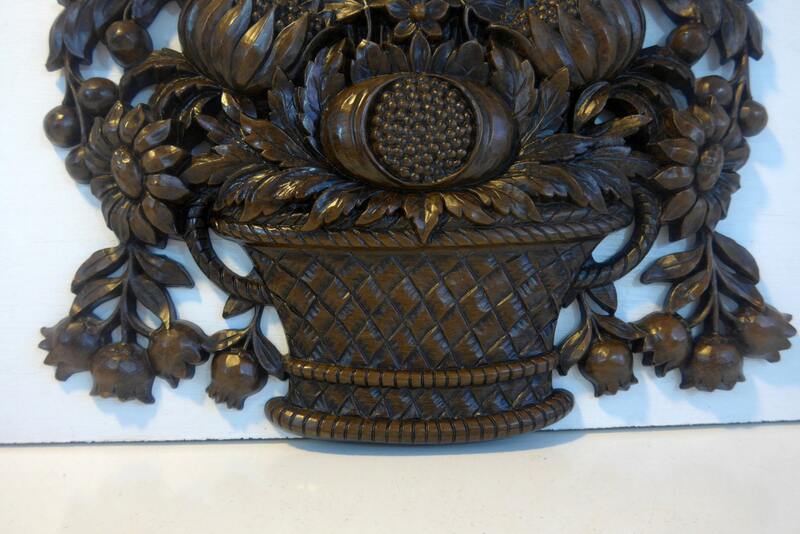 It has a lot of texture as the different types of flowers and leaves Has the look of being carved. While this looks like it is wood, it is Syroco - see NOTE below. The back has embossed lettering on the bottom section with the copyright date of 1966 and SYROCO Made in USA on it. There is also a hook for hanging on the top - see last photo. Measures about 11" x 12" and is about 3/4' in depth. In very good vintage condition. No chips or cracks. 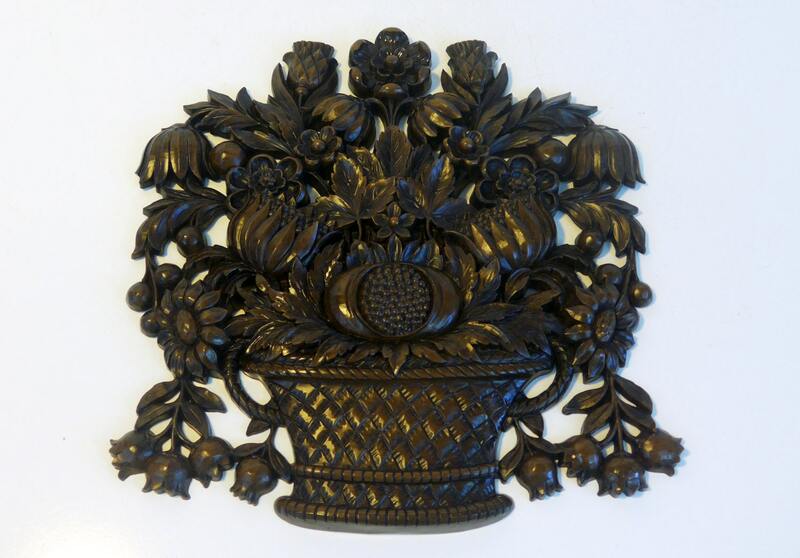 The Syracuse Ornamental Company, known as Syroco, was an American manufacturing company based in Syracuse, New York. 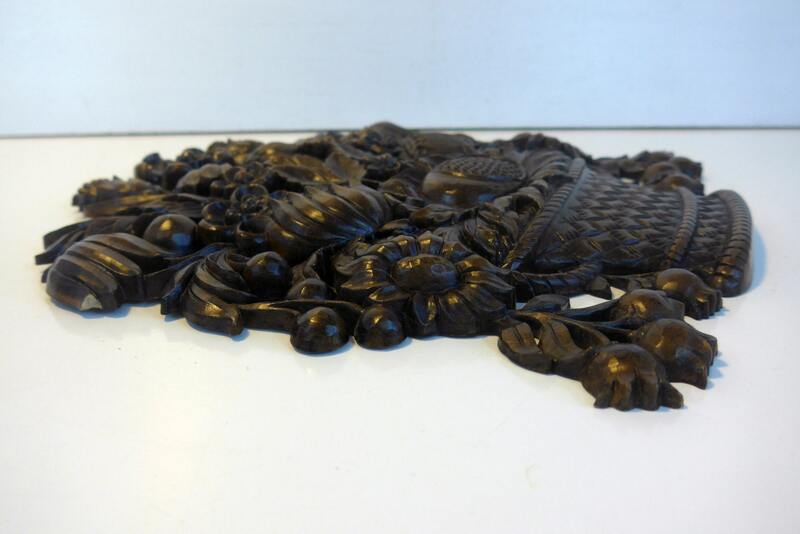 They were best known for their molded products that resembled hand-carving. 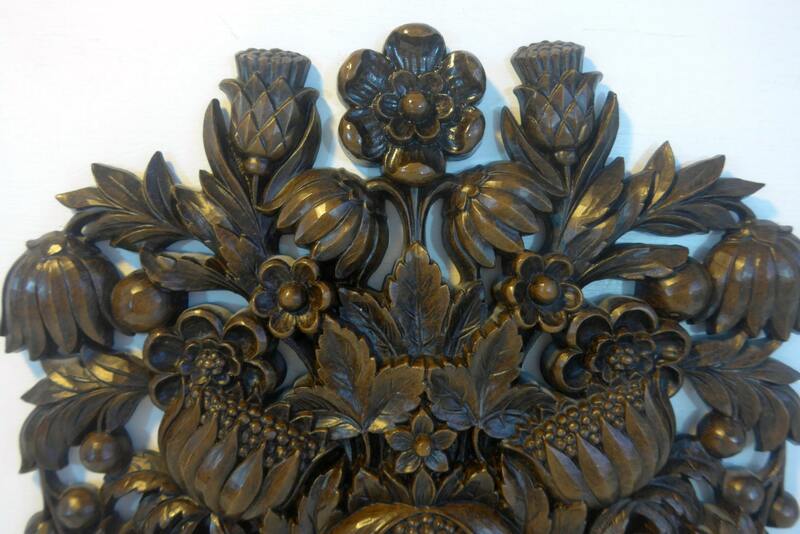 Founded in Syracuse, New York in 1890 by immigrant Adolph Holstein, the Syracuse Ornamental Company (Syroco) specialized in decorative wood carving, especially for the local residential market. Products included fireplace mantelpieces and other types of interior decoration popular in late Victorian homes. Holstein developed a material looked like wood but that which could be shaped, or molded allowing multiple pieces to be produced through a molding process. The new product fit into compression molds, which had were made from original carvings in real wood. Syroco is lightweight and durable as most plastics are.